Many bird populations are crashing, largely because they migrate such long distances and are at risk from human influence at every link in their migratory chain. One favourite, the tiny Canada warbler, is among those that find themselves in trouble. 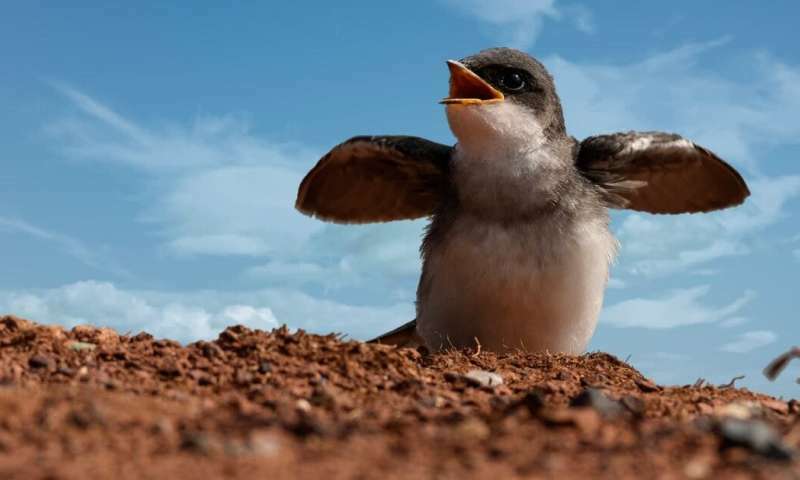 Although this bird weighs only as much as a AAA battery, each spring it flies more than 5,500 kilometres from its winter home in South America to breed in Canada, stopping in Mexico, Texas and Michigan along the way. The Canada warbler makes this incredible journey as many as eight times over the course of its life. Unfortunately, like many North American songbirds, the Canada warbler is at risk of extinction. Deforestation and human development projects are of the utmost concern to Canada warblers and other birds. More than one-third of North America's 1,154 bird species are suffering population declines. Historically, the protection of migratory birds has been difficult. Not only do they require habitat to eat, nest and sleep across two or more continents, but scientists have had limited knowledge about their distribution throughout the year. Today, only one-tenth of migratory birds have enough habitat protected across their yearly ranges to sustain their populations. Our latest research, published in the journal Nature Communications, provides governments and conservation groups with a blueprint for conserving enough habitat to protect the populations of almost one-third of the warblers, orioles, tanagers and other birds that migrate among the Americas. We used eBird, a global citizen scientist database housed at the Cornell Lab of Ornithology, to map migratory songbirds. The database allows birders to enter information about the birds they observe from anywhere in the world. eBird is very popular: more than half a billion sightings have been logged around the world in 15 years. 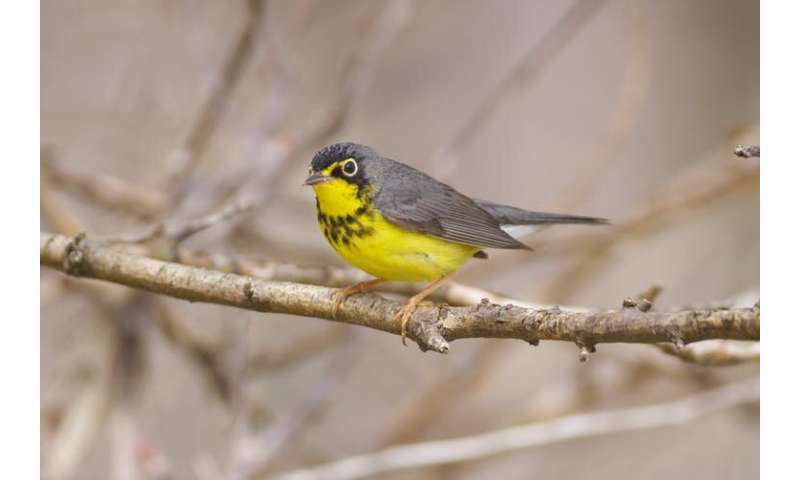 From that, we took 14 million bird sightings collected by hundreds of thousands of citizen scientists to determine the places the Canada warbler and 116 other bird species use for their transcontinental migration. That provided us with guidance on where, when and what type of habitat should be conserved to sustain the populations of these birds. Species diversity of 117 migratory songbird species is shown for every week of the year. Credit: Species maps provided by eBird, animation by Richard Schuster, March 2019. For example, large areas of evergreen forests were highlighted in western Canada. In the eastern Andes and western Amazon basin, we found broadleaf forests were important to survival. Identifying these areas is a vital step for the protection of migratory birds. It will help us to make the best use of limited resources for conservation. Governments and NGOs should spend about US$1 billion annually on bird conservation to meet global biodiversity targets, but it's been very hard to know where on the migratory chain to make that investment. Our results can help them do a much better job. We found that conservation strategies were most efficient when they incorporated working lands, such as agriculture or forestry, rather than exclusively focusing on areas with limited human impacts such as intact or undisturbed landscapes. This could be because human settlements are generally located in productive areas, which also tend to be high biodiversity areas. The importance of shared-use or working landscapes to migratory birds underscores how strategic conservation can accommodate both human livelihoods and biodiversity. Striking the right balance has previously been a challenge because migratory birds are often on the move. But our research showed that when a year's worth of bird location data is considered, conservation can be more efficient and require 56 per cent less land. In the past, efforts to protect migratory species have focused only on breeding areas, as the bulk of research and management has focused on these areas. Our results show that it's more effective to include areas used by multiple species, across the entire year. This study also reveals how a global citizen science effort can enable strategic planning to maximize the return on conservation investments. No other data source could have achieved anything close to this level of detail and efficiency over such a vast area. eBird and more than 300,000 eBirders around the world make it possible for researchers like us to consider the full annual journey of migratory birds —formation that can translate to better conservation. We're hopeful that governments and conservation groups will be able to make informed and cost-effective decisions to protect the Canada warbler and other feathered globetrotters.